Congratulations to Royal Enfield who have been awarded the ‘Best Brand (2 wheelers)’ in Auto India’s annual awards, for the 3rd time in a row. 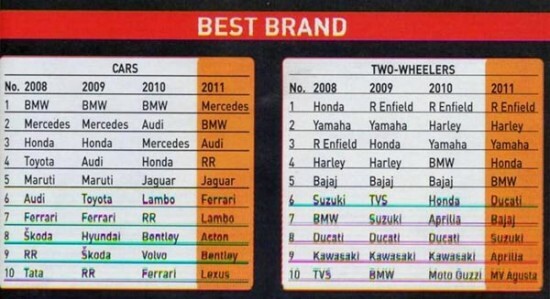 Royal Enfield also climbed 7 places from last year’s 9th position to this year’s 2nd position for ‘Best Styling’. The team at Royal Enfield have been working very hard on all aspects of the business so it’s great to see them getting recognition for their efforts and exciting to be working with a company moving forward at great pace.